It appears that Pixel users will soon get more customization options for their phones. 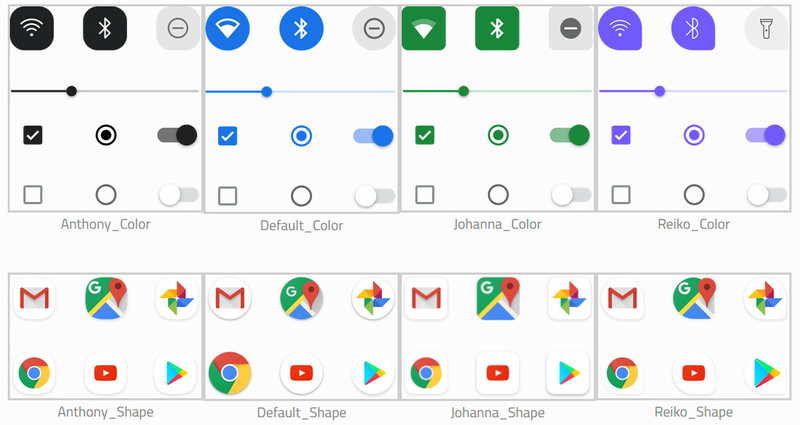 XDA opened the product image for the Google Pixel 3 XL in the Android Q Beta 2 update revealing that a future app called Pixel Themes will eventually be listed in the Google Play Store. The themes will allow users to change the colors, icon shapes and fonts used on Pixel handsets. Anthony: Rounded or Squircle shaped icons, Black accent, Rubik font. Johanna: Filled icons, Green accent, Arvo and Lato font. Reiko: Circular/Teardrop shaped icons, Purple accent, Arbutus font. When the app is ready to launch, you'll find it in the Google Play Store right here. Until that day comes, clicking on this link will show you nothing more than an error message. And we would be remiss if we didn't point out that Pixel Themes will use overlays to make the changes based on the theme selected. It also appears that Pixel users will get a small selection of new wallpapers to choose from once this app officially is released. With the app, users will be able to change icon shapes in additional locations related to the Settings, SystemUI, and Android framework. That can be seen from the image below. Finally! I liked the look of the default launcher but not really the fact that I need a launcher to change things. About time, third party launchers don't work well on Pie.